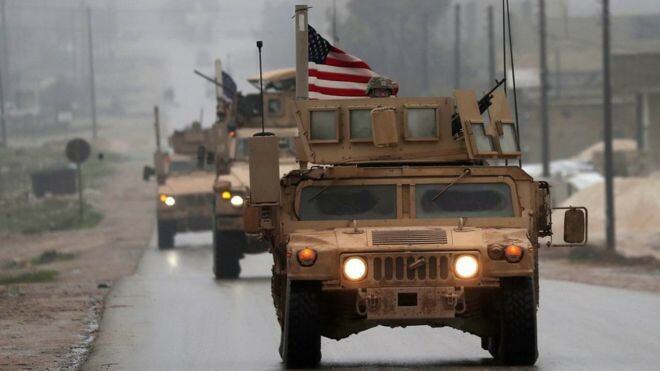 On December 19, President Trump blindsided top American military brass and key U.S. allies when he announced that he would withdraw some 2,000 troops from the Syrian battlefield. The decision and ensuing public reaction was frenzied. For his part, Trump claimed that he was “just doing what he said he would do,” that “ISIS was defeated,” and that the “fake news and pundits who had failed for years” were the only ones complaining. In truth, both Democrats and Republicans in Congress slammed the decision — but their reasoning was muddled. Most focused on the haphazardness of the move rather than any independent case for why a U.S. presence in the region was needed. Republican Senator Ben Sasse noted that “the President’s generals ha[d] no idea where this weak decision came from.” And, as if on cue, one of Trump’s most seasoned military advisers — then Secretary of Defense Jim Mattis — abruptly resigned. The Syria decision wasn’t an isolated moment, either. In mid-November, President Trump shocked members of Congress by first misrepresenting and then shrugging off intelligence indicating that the Saudi crown prince had directed the brutal murder of Jamal Khashoggi, a Washington Post columnist critical of the Saudi regime. And mere days after the Syria announcement, Trump floated another 7,000-troop withdrawal from Afghanistan. The series of debacles underscored the dangerous incoherence of Trump’s foreign policy and left many feeling that the United States, for the first time in a long time, was in retreat. Since the invasion of Iraq in 2003, deployment of U.S. troops abroad has become a new third rail of sorts in American politics. Put simply, retreat is resonant. Any suggestion that preventative military action be taken is met with a common rebuff: “We ought to focus on our own country instead!” Or, even worse: “We tried the neocon way in Iraq and Afghanistan and look how all that turned out.” And with the errors of those invasions still sharp in Americans’ minds, it can feel difficult to muster a rebuttal. But, such refrains aren’t really arguments about how and when the awesome power of American armed forces ought to be wielded. At times, the new isolationist reasoning seems to amount to an unsupported assertion that because poor decisions were made in Iraq and Afghanistan, proactive military engagement must never be effective. The problem is, of course, that this ignores the last 200 years of world history in which the brave men and women of our armed forces, with the help of our allies, first secured and then defended the stability of the post-World War order. That retreat may currently be popular doesn’t make it right. So, who is right? To be fair, the homefronters have a point. For all of his resolve and determination to combat the threat of radical Islam in the wake of 9/11, President Bush made mistakes handling the War on Terror. He kept us safe, yes, but that is not the only measure of sound military decision-making. In hindsight, the operation suffered a number of ills: faulty intelligence, premature communication of and dependence on that intelligence, and an almost complete lack of a post-invasion strategy — just to name a few. But failure to properly execute that engagement shouldn’t imply that all foreign engagement, properly executed, isn’t worth America’s effort. As it turns out, the world needs America’s attention now more than ever. Threats are metastasizing and evil is an ever-evolving monster: Putin grows bolder in Eastern Europe and beyond, the Saudis are murdering journalists in cold blood, North Korea continues to build missiles, Iran and Hezbollah bear down harder on Israel by the day, and ISIS keeps radicalizing new adherents to do its bidding. These threats won’t disappear on their own. A fresh case for American engagement is needed. But in order to be taken seriously, its advocates must admit the mistakes of the past. Filling foreign power vacuums for its own sake isn’t a long-term strategy and attempting to plant democracy in every totalitarian plot of soil seems to have drawn a meager crop. A re-articulation of methods and goals is also in order. What are the parameters for deploying U.S. force? What does “defending America’s national security interests” actually mean? What do we intend to achieve with our foreign engagements? Proponents of a robust U.S. presence on the world stage owe it to the American people to revisit these questions and answer them anew. And as we answer these questions, we’d do well to remember that the steady upward arc of prosperity that the United States and the world experienced over the latter half of the 21st century didn’t materialize out of thin air. It wasn’t the product of the world’s nation-states only looking inward and ignoring what was going on around them. It was built — piece by piece — thanks to the United States and our allies leading and shaping global affairs as forces for good. Instead of abandoning that effort, we should find new ways to take it up again. After all, the alternative is much worse: an America that retreats and walls itself off from the rest of the world, letting the chips fall wherever our enemies put them down.